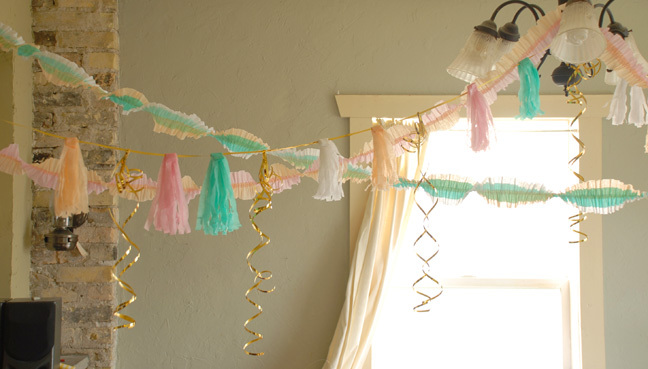 I was so excited the other day when I saw Dana's EASY way of ruffling streamers! Sooo much easier then doing it my way thats for sure! 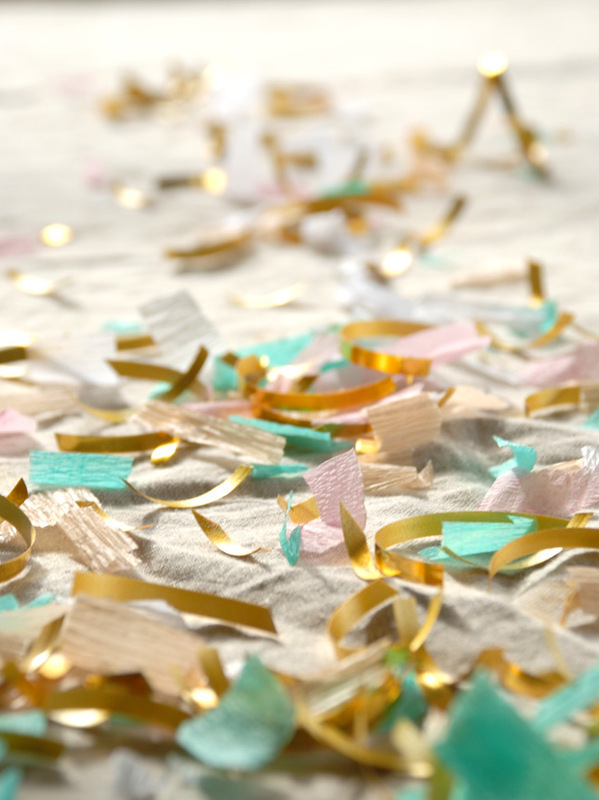 I knew I wanted to have a Cinco de Mayo fiesta especially with Dana's streamers, and all the awesomeness I have seen from Confetti System. 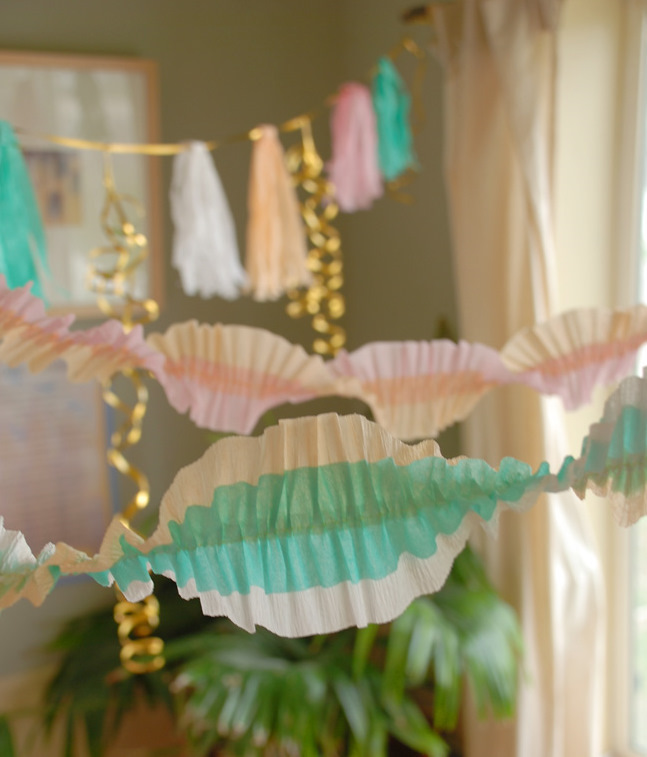 I went to work this afternoon and created a little fiesta in my dinning room!!! Hope you have a great Cinco de mayo as well! :) Thanks for stopping by!! 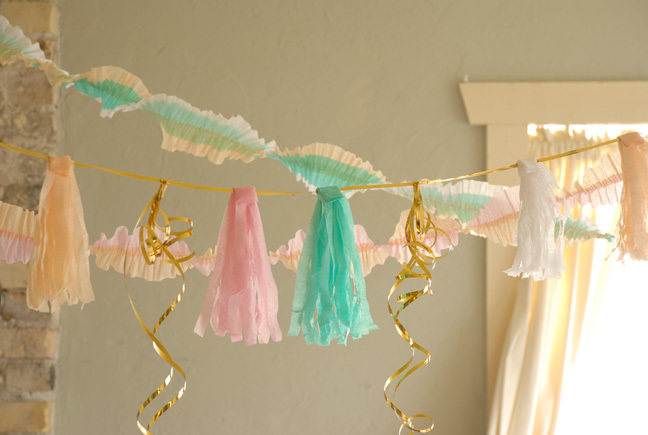 The ruffled crepe paper streamers are SO cute. 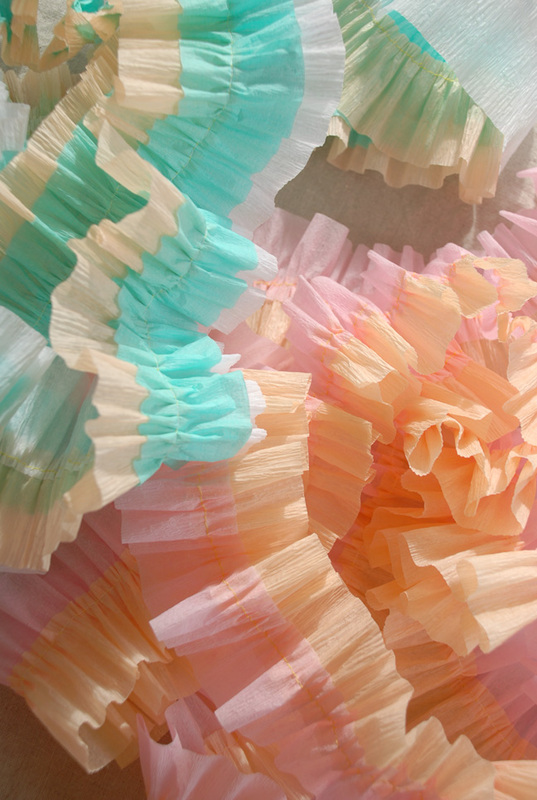 Ever since I saw your ruffled crepe paper I have been wanting to try it out, but I haven't found the colors I want yet. I think the link for the easier ruffling technique is the wrong link. I would love to check out your new technique! 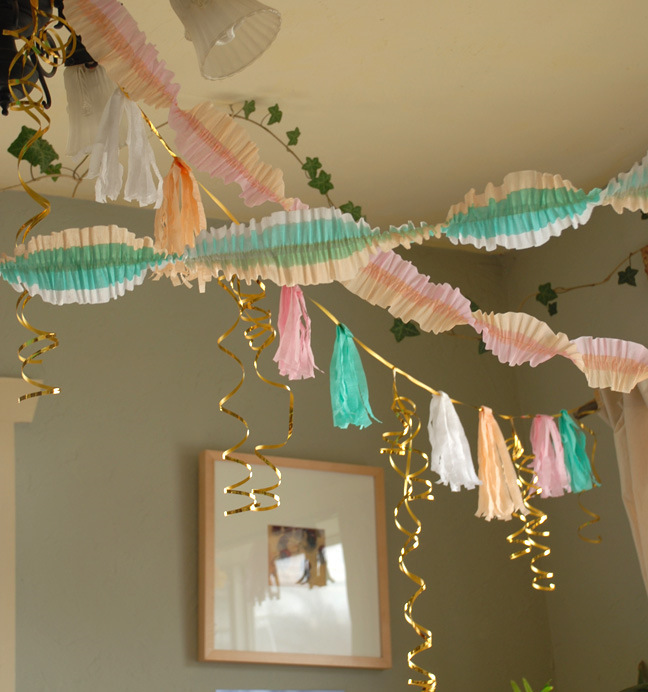 I love these banners and garlands you made. So very festive! Oooh pretty. I love your pictures. I also love how you made it pastel and spring looking. Nice twist. oh wow. 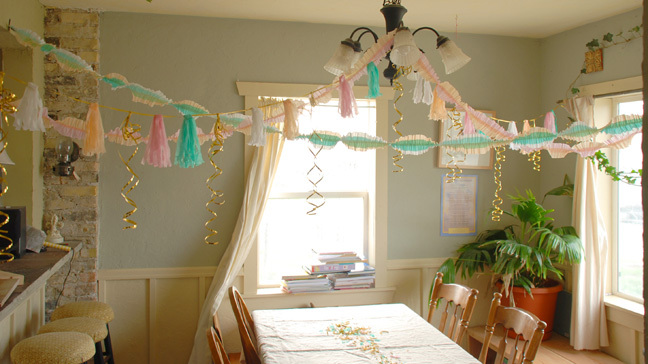 I love how you decorated!! BEAUTIFUL. super festive!